ARE YOU OBLIVIOUS TO THE PERIL WE FACE? Terrorist Attacks against American interests began when George Washington was President when the Islamic Barbary Pirates repeatedly ambushed U.S. merchant ships transiting the Mediterranean Sea. During the intervening 235 years our government has grown exponentially and created a huge intelligence community. The best I can determine, our intelligence organizations are very methodical. They spy on United States Senators, especially members of the Intelligence Committee. They spy on Corporate CEOs, Governors, Tea Party leaders, stock traders, billionaires and law abiding citizens of all socioeconomic levels. I’m just not sure how they miss every single terrorist attack? How did they fail to see the fall of Yemen or the rise of the Islamic State? 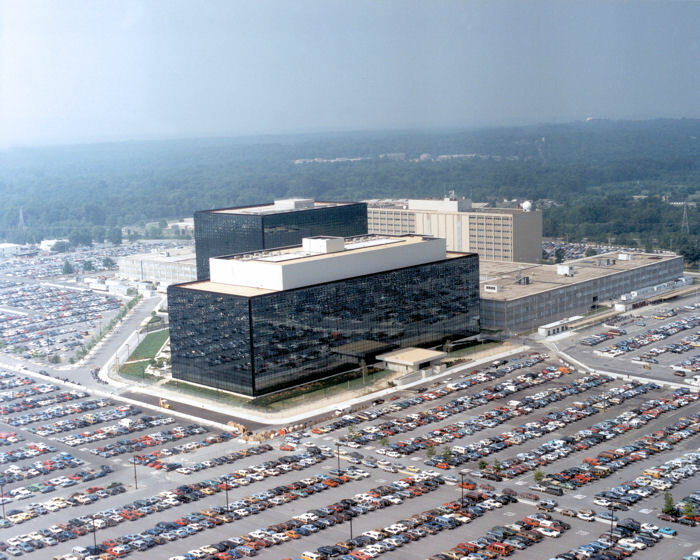 NSA alone occupies a building larger than the Pentagon outside DC and just built a 1.5 million square foot Intelligence Community Comprehensive National Cybersecurity Initiative Data Center in Utah. Just the electricity for that building will cost $40 million a year. Hey Al Gore, I now know what causes global warming! According to Edward Snowden, the project was initially known as the Massive Data Repository but NSA felt the name was too “creepy” and changed it. I know it is hard for football fans to comprehend the magnitude of the Utah facility. It is 15 times the size of MetLife Stadium, home to the New York Giants and Jets. Along with the Utah facility, NSA just opened its nearly 700,000 square foot Texas Cryptologic Center in San Antonio and has other centers in places like Hawaii. Together they are seven times the size of the Pentagon. How big is the Pentagon you ask? The U.S. Capitol could fit into just one of the building’s five sides, and with 5,100,000 square feet, it has twice the office space of the Empire State Building. The Pentagon has twice as many restrooms as it needs because it was built with separate restrooms for whites and blacks along with separate cafeterias. IED attack on Mexican Consulate in New York City. Bombing of a Recruiting Office in Times Square. North Korean cyber attack against SONY pictures. Do you ever wonder why we need all these intelligence agencies while the rest of the Defense Department is being gutted and demolished? Why we have behemoth facilities while we scrap the weapon most feared by the Islamic State, the A-10 Thunderbolt II affectionately called the Warthog? Why is it more important to spy on law abiding United States Citizens than to spy on our sworn enemies? The cost of Gitmo seems to be an issue but the sky is the limit when it comes to other facilities and welfare for the illegal masses. Before the United States of America cuts one more combat unit or scraps one more tactical or strategic weapon system, can we consolidate our Intelligence efforts and focus on the bad guys or is that idea too radical? More than 50 years ago I was an Intelligence Analyst and my Air War College Diploma is dated December 22nd, 1976. I didn’t just fall off a turnip wagon. I expect much better leadership from my government at all levels than I am receiving. It would also be nice if the smiley faces on Broadcast Journalism would start reporting the news and alerting citizens of the danger for a change. I know securing the border after probably 100,000 to 2 million terrorists are already here is like closing the barn door after the horse escaped but it would be a start. We have to start someplace or EVERY man, woman and child in America will become a refugee if we are not killed first. Mayday, mayday, mayday! WHEN WILL AMERICA GET SERIOUS ABOUT JIHAD? Christianity began to spread across the Middle East until the whole region was Christian. Even the Roman Empire that crucified Jesus and fed Christians to lions as sport, adopted Christianity and eventually became the Holy Roman Empire. There was no real challenge to Christianity in the region until the rise of Islamic Jihad beginning at Mecca in 620 AD under Muhammed. Before Muhammed, Arabs worshipped innumerable gods and goddesses in addition to Allah who was one of the many gods. Among them were Allat, Alluza, Mannat who were goddesses and were looked upon as daughters of Allah along with male gods like Hubal or Baal. After the death of Muhammed on June 8, 632 at age 62 or 63, the Islamic Religion began to be formed. According to Islamic teaching, the Quran came down as a series of revelations from Allah through the Archangel Gabriel to the Prophet Muhammad who then dictated it to his followers. Muhammad’s companions memorized fragments of the Quran and wrote them down on whatever was at hand, which were later compiled into book form under the rule of the third Caliph, Uthman, some years after Muhammad’s death. Muhammad was orphaned as a young child and raised by other family members. He became a merchant and began to preach Islam publicly in Mecca in 613 in his 40’s. His preaching is met with skepticism, and he is accused of plagiarizing the “tales of the ancients.” One of his harshest critics was his own uncle, Abu Lahab, who is cursed by name in the Quran. Due to growing animosity between the pagans and Muslims in Mecca, Muhammad and his followers flee to Medina where Muhammad turns into a political and military leader. In 624 the first armed conflicts began with a series of raids against caravans of pagans from Mecca. The raid marking the beginning of violence in the name of Islam took place in one of the four holy months in which fighting was forbidden. The Battle of Badr followed the caravan raids when the Meccans retaliated against Muhammad. Although they were vastly outnumbered, the Muslims defeated the pagan Meccans; killing at least seventy and capturing another seventy for ransom. Al Nadir, a storyteller and poet who had mocked Muhammad was among the prisoners of war. Muhammad ordered that Al Nadir be beheaded and another twenty-four to be thrown into the well of Badr. That same year, the Jewish Qayniqa tribe was besieged by the Muslims. Muhammad initially intended to execute all the males, but decides to confiscate their property and exile them from Medina. So began the 1,400 years of Jihad by Islam. Captured people who were infidels, Kafirs or non believers in Allah, were given three choices: Convert to Islam, be killed or pay a tax called Jaziya. Other Arabs were not given the choice of paying Jaziya and remaining non-Muslim, their choice was only Islam or Death. Hence there are no surviving nature and idol-worshipping non-Muslim Arabs today. A point missed by many Arab and Western historians. By 1096 Muslims controlled most of modern day Turkey, the very capital of Constantine and the location of Antioch where Christians were first called Christians. Where Paul was born and where he departed for his Missionary Journeys. Turkey is the birthplace of Abraham at Ur. Ur became Urfa and then Edessa. Today it is called Şanlıurfa. Sorry, your Bible Maps of Abraham’s travels show the wrong Ur. From the beginning the Muslims waged economic warfare by targeting caravans and merchant ships. Still, for centuries Christian pilgrims traveled freely from Europe to Jerusalem. All that changed when the Seljuk Turks, who were Muslim, began to interfere with these pilgrimages. In 1071, the Seljuk Turks fought against the Byzantine Empire at the Battle of Manzikert. The Byzantines, who were Christian, lost. The Byzantine emperor asked the Christians in Europe to help protect his empire from the Muslims. In 1095, Pope Urban II called for a crusade against the Muslims to regain control of Jerusalem. The Crusades were holy wars fought between European Christians and Muslims between 1095 and 1291. The main goal of the Crusades was to take control of Jerusalem away from the Muslims and permit safe passage of Christians to the Holy Land. After the First Crusade achieved its goal with the capture of Jerusalem in 1099, the invading Christians set up several Latin Christian states, even as Muslims in the region vowed to wage jihad to regain control over the region. Christian states were established in Jerusalem, Edessa, Antioch and Tripoli and were guarded by formidable castles. I mentioned that Abraham was from Edessa, but Edessa was also where the Shroud of Turin resided for several years before being moved to Constantinople in the tenth century. News of Edessa’s fall to the Muslims stunned Europe, and led Christian authorities in the West to call for another Crusade. The Second Crusade began in 1147 but was crushed by the ever strengthening Muslims. Through the end of the 13th century, groups of Crusaders sought to gain ground in the Holy Land through short-lived raids that proved little more than an annoyance to Muslim rulers in the region. My guess is that wild eyed professors gave you a completely false narrative about the Crusades? “Harbi” is a term referring to non-Muslims who live outside of Muslim-run territories. Muslim conquests are marked by crucifixions, beheadings and other mass murders of men, women and children. After a single battle in Spain, the heads of knights were cut off and stacked into a pile so high that a man on horseback could not see over them. Over a thousand years later Mosul Christians were annihilated almost overnight. Mosul is the second largest city in Iraq and the capital of the Nineveh Province in northern Iraq. Mosul exists on both sides of the Tigris River along with the ancient Assyrian city of Nineveh. The city is the historic center of the Church of the East. Christianity spread from Mosul as the church became the world’s largest Christian church in terms of geographical extent, with dioceses stretching from the Mediterranean to China and India. The tombs of several Old Testament prophets including Jonah are located in Mosul. For the first time in 2,000 years, not ONE Christian remains alive in Mosul. A Christian rancher with 600 head of cattle and 200 sheep fled to Jordan with nothing but the shirt on his back. At the rate things are going, Jordan will soon fall into Muslim hands. The bread and butter of Islamic terrorists is economic terrorism and has been since the first caravan raids. The first struggle America had with Islamic Terrorism came when George Washington was President. Muslim Pirate ships and crews from the Barbary Coast states of Tripoli, Tunis, Morocco, and Algiers were the scourge of the Mediterranean capturing merchant ships and holding their crews for ransom. As early as 1784 Congress followed the tradition of the European shipping powers and appropriated $80,000 as tribute to the Barbary States, directing its ministers in Europe, Thomas Jefferson and John Adams, to begin negotiations with them. Trouble began the next year, in July 1785, when Algerians captured two American ships and held their crews of twenty-one people for a ransom of nearly $60,000. Thomas Jefferson, United States minister to France, opposed the payment and wrote this in his autobiography, “endeavored to form an association of the powers subject to habitual depredation from them. I accordingly prepared, and proposed to their ministers at Paris, for consultation with their governments, articles of a special confederation.” Jefferson’s efforts fell through because then as now the major powers could not agree on how to combat the aggression. Eventually in 1786, Jefferson wrote this to John Adams, “I very early thought it would be best to effect a peace thro’ the medium of war. Paying tribute will merely invite more demands, and even if a coalition proves workable, the only solution is a strong navy that can reach the pirates.” Jefferson argued in an August 18, 1786, letter to James Monroe: “The states must see the rod; perhaps it must be felt by some one of them. . . . Every national citizen must wish to see an effective instrument of coercion, and should fear to see it on any other element than the water. A naval force can never endanger our liberties, nor occasion bloodshed; a land force would do both.” “From what I learn from the temper of my countrymen and their tenaciousness of their money,” Jefferson added in a December 26, 1786, letter to the president of Yale College, Ezra Stiles, “it will be more easy to raise ships and men to fight these pirates into reason, than money to bribe them.” Still, indifference prevailed and in 1795 alone the United States was forced to pay nearly a million dollars in cash, naval stores, and a frigate to ransom 115 sailors from Algiers. The American show of force quickly awed Tunis and Algiers into breaking their alliance with Tripoli. The humiliating loss of the frigate Philadelphia and the capture of her captain and crew in Tripoli in 1803, criticism from his political opponents, and even opposition within his own cabinet did not deter Jefferson from his chosen course during four years of war. The aggressive action of Commodore Edward Preble (1803-4) forced Morocco out of the fight and his five bombardments of Tripoli restored some order to the Mediterranean. The U.S. continued to pay tributes until 1815 when naval victories led to treaties ending all tribute payments by the United States. European nations continued annual payments until the 1830s. However, international piracy in Atlantic and Mediterranean waters declined during this time under pressure from the Euro-American nations, who no longer viewed pirate states as mere annoyances during peacetime and potential allies during war. On September 11, 2001, the Islamic economic war was brought to the United States when the World Trade Center was the primary target. Each day the Islamic State grows more powerful and more and more Muslims inhabit Christian, Buddhist, Hindu and secular countries. The Muslims have a plan and strategy; the West has no plan, no consensus, no strategy and no clue. If you were an odds maker, you would have to give the Muslims odds of at least 60% to dominate the world. Iran most likely already has everything necessary to construct an atomic bomb with the help from Russian and North Korean Nuclear Scientists. About 50 countries have Muslim majorities. What if the United States dominated 50 countries? Even Russia never gobbled up 50 countries. Many secular countries will eagerly assist In the Muslim goal of an Islamic World as long as Big Satan and Little Satan are annihilated in the process. Do you believe President Barack Obama is a serious participant in fighting the Global War on Terrorism? How about England, Belgium, France, Germany and Spain? Ferdinand and Isabella expelled Muslims from Spain 500 years ago but they are dead. Ronald Reagan and Margaret Thatcher are gone. There are no Winston Churchill’s anymore. John Kerry, the Vietnam War protestor is Secretary of State! There is really no leader out there who understands how serious the threat really is or the global scope of its power. After years of indoctrination by unionized teachers in public schools and wild eyed atheist professors, a surprising number of college students believe the United States is a greater threat to world peace than Islam. Young men and women are rushing to join the Islamic State for service abroad or domestically. It would not surprise me to see President Obama invite them to the Rose Garden for a Beer Summit and photo op. You won’t find any official estimates of the numbers of terrorists already in America; my estimate is between 100,000 and two million. The police in Paris do not carry guns, maybe that’s why it took 90,000 police to pursue four terrorists and only three were caught? Liberal leaders across America can’t imagine why any law abiding citizen needs to own a gun. 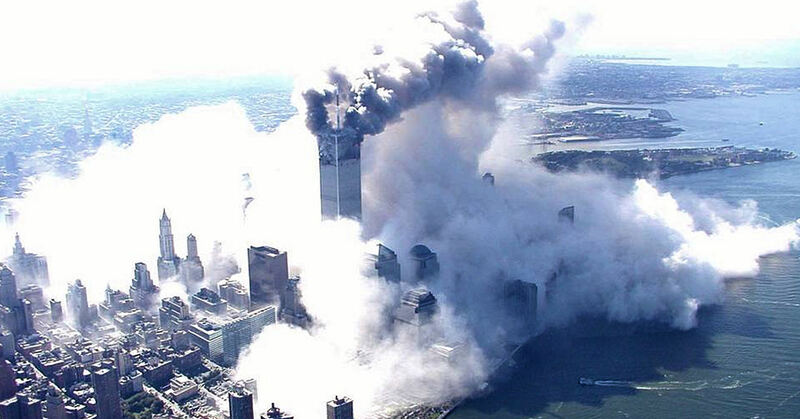 Even after 911, nothing was done to strengthen national security. Civil liberties were stripped and law abiding citizens became targets of the NSA but our borders became much less secure and terrorist acts continue to occur. The Obama Administration marginalizes attacks by calling them WORKPLACE VIOLENCE. Most Americans think they can watch the Today Show and know everything that’s going on. Too many cannot tell when they are being indoctrinated. I just watched Liberals saying that Hillary is worried about Jeb Bush. If they thought Jeb Bush was a threat, they would be saying he can see Russia from Coral Gables. The subtle message is for Conservatives to nominate the man who scares Hillary. Some will actually fall for these tricks. Many will never see the terror threat until their heads are on the chopping block. I was driving to have coffee with some friends when the Huckabee Report came on the radio. Huckabee was telling about ascending to the office of governor and inheriting a lopsided government more lopsided than Massachusetts. He then bragged about making the best of it and getting tax cuts passed along with positive legislation. What Mike neglected to mention is that he kept all the Democrat Cabinet Members and his very first appointment as governor was ANOTHER DEMOCRAT. In fact, after ten years in office his Democrat Cabinet members were attending campaign events for the Democrat candidate for governor. Huckabee did cut some taxes but the net effect was that he increased taxes half a billion dollars more than he cut taxes while he increased spending by 65% and the number of bureaucrats by 20%. Huckabee became governor when the Democratic governor was indicted. He called a meeting with the few Republican legislators but refused to attend his meeting. Instead, he had his Chief of Staff make a simple announcement that Huckabee would support those who support him and would not support those who would not support him. Nobody was going to defeat Huckabee during his first election after becoming governor by default but I ran to have a voice to expose his transgressions. The second time he ran was a different story. No serious Democrat would challenge a man who had been so good for the Democratic Party; however, a little known token female did run. If 1.5% of the voters had changed their votes, she would have defeated Mike Huckabee. At the end of his last term he destroyed all the hard drives in his office and left the Republican Party in shambles. Not one Republican was elected to a statewide Constitutional office and the Republican candidate for Governor, Asa Hutchinson was defeated by double digits. Eight years later Asa was elected by double digits. Rebuilding after the Huckabee tsunami has taken a long time. Mike Huckabee’s political endorsements get a lot of attention. During the Texas Senate primary, Huckabee was one of David Dewhurst’s most prominent backers. “Plenty of candidates say they’re conservative, but the only proven conservative in this race is David Dewhurst,” Huckabee said in a campaign ad. Earlier, in an ad released a mere hour and a half after the announcement that Sarah Palin was endorsing another candidate, Ted Cruz, Huckabee remarked, “David’s conservative leadership helped Texas pass more pro-life legislation than any state in America.” In an ad released after Huckabee endorsed Dewhurst, Huckabee criticized the “Washington insiders [who] have come to Texas falsely attacking David Dewhurst.” Ted Cruz, in spite of polling only 4% in the beginning, went on to soundly defeat Dewhurst. The real firestorm came when Huckabee endorsed Lamar Alexander. This is quoted from Breitbart: “Former Arkansas Governor Mike Huckabee angered his Facebook fans after endorsing Sen. Lamar Alexander against conservative state Representative Joe Carr last month. Carr has been endorsed by former Alaska Governor Sarah Palin and conservative talk radio host Laura Ingraham for the August 7th primary. And Carr has been relentlessly hammering Alexander for voting for the Senate’s amnesty bill even after law enforcement officials warned Alexander that it would lure more illegal immigrants from Central America. -Are you serious? You are not the conservative I thought you were. 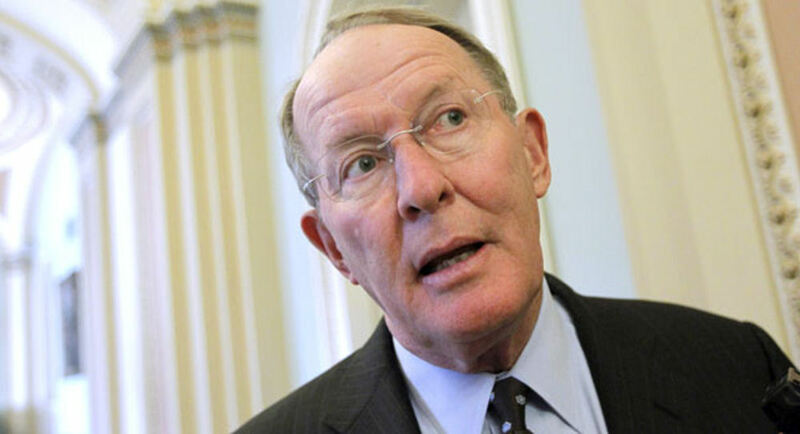 Lamar Alexander is the most liberal republican in the state of Tennessee. -We supported and worked hard to get Governor Huckabee delegates when he ran in TN. His endorsement of Lamar with his liberal voting record is both an insult and disappointment. -I guess your true colors are now showing. Supporting a liberal, which ever the way the wind blows part of the problem, Republican. Sorry can’t trust who you are supporting. -NO NO NO NO NO NO! -With this endorsement, you lose my support and funds! Lamar Alexander has repeatedly proven himself proven himself to be as bad a rino and sellout to the conservative cause as Mcain in Arizona! Alaxander supports the presidents anti gun agenda. He has come out in favor of amnesty over simple enforcement of existing laws. And finally his voting record on Obamacare is despicable! -Well, Mike, I just lost some respect for you; lamar alexander is far from the type of candidate I want to support, and I hope you come to your senses too — check his record, and compare it to the ideals I’ve witnessed you promote on so many occasions. -Voted for Carr not Lamar… Disappointed in you Huck ! -Very disappointed in you, Mike! Alexander has voted too many times with Obama . . . -Amnesty, etc. Can’t vote for him this time. Besides, he’s the one who said terms should be limited to two. -No, no, no. He hasn’t listened to his fellow Tennesseans. -Gov, Huckabee I don’t think you realize how much Lamaur has hurt Tennessee and he is far from conservative. There are very few times that I’ve disagreed with you on political issues, but we are definitely on a different page concerning Lamar. I am very surprised and disappointed you are supporting a man who voted with Obama on —-Healthcare, war on coal , cutting veterans benefits and higher taxes in Tennessee, just to namea few.I really hope Joe Carr replaces him and his liberal agenda. -Huck, explain yourself here. What about Lamar makes sense and tell us what about Joe Carr doesn’t? -What the hell?? Have you been drinking from their river of money too? -Huckabee is just another establishment hack. So is Lamar. Out with Lamar and vote for a real conservative, Joe Carr. -No we will not vote for Lamar Alexander. Disappointed to see you endorse him. Lori G Lockhart Mike Huckabee, I respect all that you are doing and have done for our country, however I am shocked you would support Lamar! As a lifetime Tennessee resident it’s time for Lamar to go! He has went against the “We the People” to many times! He has supported obuma and his policies to many times. After seeing all the negative comments on this status I hope and pray you change your decision. -You are better than that, Mike. Alexander has long out lasted his orange checkered shirt and his admirable walk across TN. Personality has gotten him more than he deserves. We need someone who will lead. Alexander spent the entire LAST election trying to discover just the right portrait blending determination and compassion … And none of his revised portraits hit the mark. We need someone who DOES … Not poses! -Have a great retirement, Lamar. -I respect you governor but I will not vote again for Lamar. My vote will go to a real Conservative, Joe Carr. -Mike, we in TN. know you backed the WRONG HORSE in this race!!!!!!!!!! -We Don’t need OUTSIDERS telling us how to vote. SHAME on you Mike! -I’m losing all respect for Mike Huckabee…. -I always thought Huckabee was too liberal for me. -Yeah, the ole Huckster lost me on this one. -Well, Mr. Huckabee, I can’t believe you support this Rino. He voted against the people and with Obama every time. -Sorry Huck, Lamar has gone liberal on us Tennesseans, voted for more gun control, and backed Obama’s liberal choices for offices. Vote Joe Carr!!!!! -Mick Hartley Our founding fathers wanted “the butchers, the bakers, and the candlestick makers” to serve their country and then come back and live under the laws that they enacted . We don’t need career politicians, we need patriots. -I dont stand with Huckabee on this. -Governor, you just lost me as a fan. I cannot believe you would endorse Alexander after his voting record! You should be embarrassed! -#VoteCarrNOTLamar! -Huckabee, This shows just how out of touch you are. Keep your nose out of Tennessee politics. You obviously know nothing, so shut up! -I was a Huckabee fan until you made that endorsement. Carr not Lamar! After Mike Huckabee raised taxes in Arkansas, the poorest state in the nation, he moved to Florida where he pays no state income tax. As Glenn Beck said, the only effect Huckabee will have in the Presidential race will be to take some evangelical votes away from Ted Cruz. 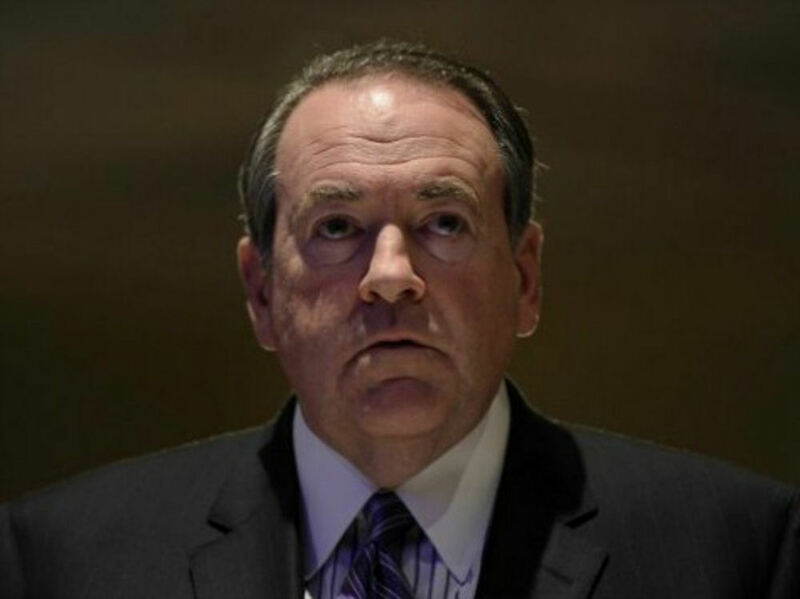 I say, since Huckabee’s candidate could not defeat Cruz in Texas, maybe Huck can spoil Ted’s run for President? 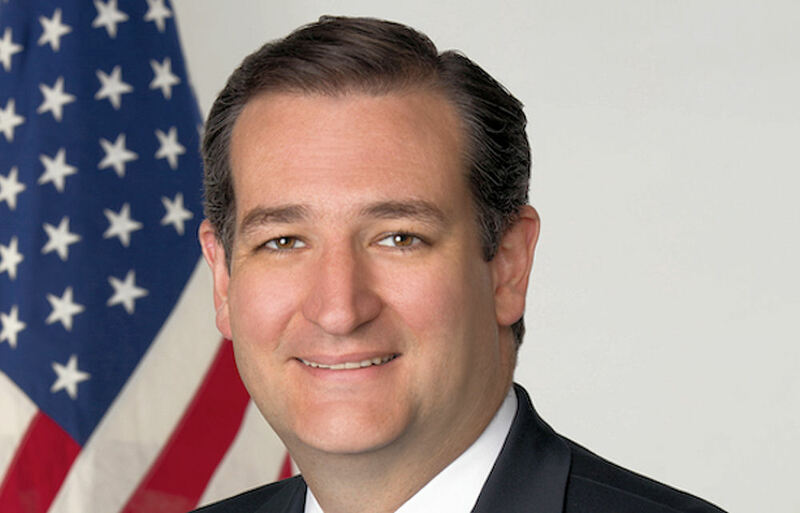 Cruz is the closest thing we have had to Ronald Reagan since Ronald Reagan. Remember, Reagan won reelection by carrying 49 states. You are currently browsing the Gene McVay On Guard blog archives for January, 2015.